Youth for A Change was founded in March 2012 by Sylvie Traphan and Jen Marchbank alongwith ten very keen youth. We are educators, activists and advocates on many youth issues but especially issues facing lesbian, gay, bisexual, trans*, two-spirit, and queer youth and allies. Members range in age from 13-21, many identify as LGBTQ+, others as allies, ALL participate in planning and decision-making about the group’s activities. 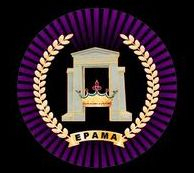 EPAMA - The Court of Surrey is a chapter affiliate of the International Court System. transgender and gender non-conforming or queer individuals to access healthy food, as well as support from their LGBT peers. This food bank offers fresh produce and baked goods. Our main sponsors are Van Whole Produce that offers mostly organic produce, and Uprising Breads, which contributes breads and other fresh-baked goods. Although the focus is primarily on transgender individuals, we are also open to other local individuals in need, primarily aboriginal, low income, or homeless. The Food Bank Operations serves the needs of clients who have special dietary needs (halal, kosher, vegetarian, vegan, etc.). Our client base demographic is predominantly Muslim from all ethnicities, however we are non denominational and try to serve families from other faith and cultural communities. Our goal is to support our clients become self-sufficient, dignified members of Canadian society by assisting with immediate needs for food through our Food Bank Operations and providing a holistic range of support services as needed through our ASPIRE Community Support program. 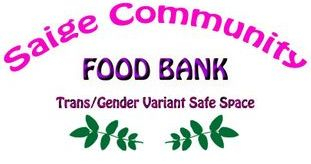 The Djaef Mahler Food Bank is a high protein food bank that supports individuals and families living with HIV and/or Hep C. We work with people who lack access to HIV/AIDS and HCV support services through advocacy, outreach, peer training and harm reduction programs. Djaef Mahler, a talented artist, was grew up in Delta who died in 1990 from HIV/AIDS. The Djaef Mahler Food Bank was named to honour his supporting people living with HIV/AIDS. The Surrey Food Bank provides food to families living in Surrey and North Delta. We pride ourselves in supplying nutritious food in a respectful and dignified environment. In addition, we believe it is our responsibility to connect our clients to other community services as a means of helping them become self-sufficient. We take pride that we “Invite, Inform, Involve and Inspire” our community. As a non-profit, charitable organization, the Surrey Food Bank operates because of donations of money and food. These donations come from individuals, organizations and corporations. The First Nations in BC Knowledge Network is a hub for First Nations in the province to share ideas, tools and best practices on many aspects of governance and community development.The First Nations in BC Knowledge Network was developed by the First Nations Technology Council with the generous support from the New Relationship Trust and the valued input of many organization First Nations in BC. Sher Vancouver LGBTQ Friends Society is an incorporated non-profit society in BC. 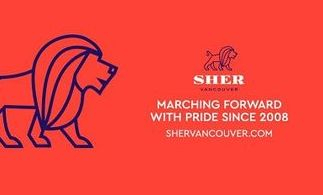 Sher Vancouver provides social, cultural and support services for LGBTQ+ South Asians and their friends, families, and allies. Sher provides advocacy, counselling, information, referral, peer support, social activities, volunteer opportunities, and outreach presentations in the community to combat bullying, racism, and other forms of discrimination. The purpose of the New West Pride Society is to empower, celebrate, and promote inclusivity, acceptance, and respect among persons of all sexual orientations and gender identities in New Westminster and surrounding communities. To further our purpose, we will organize and/or promote community-building events and raise funds for causes that ​benefit our communities. The Vancouver Pride Society brings together members of tGay, Lesbian, Bisexual, Transgender and Two-Spirit community, their friends, allies and supporters in celebration of the unique spirit and culture of the LGBTQ2+ community by producing quality, inclusive events such as the Pride Parade and Festivals. Since 1973, The Cultch (formally the Vancouver East Cultural Centre) has been one of Vancouver’s most diverse and innovative arts and cultural hubs. The organization operates three theatrical venues, a gallery, and various ancillary spaces in the heart of East Vancouver. The Cultch offers dynamic contemporary programming in theatre, dance, music, and the visual arts, bringing world-class cultural presentations to thousands of citizens each year through its own programming and through providing rental opportunities for community users.